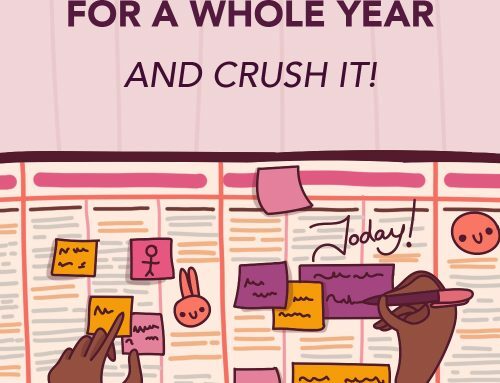 I began making Stray Curls comics six months ago, on June 2017. 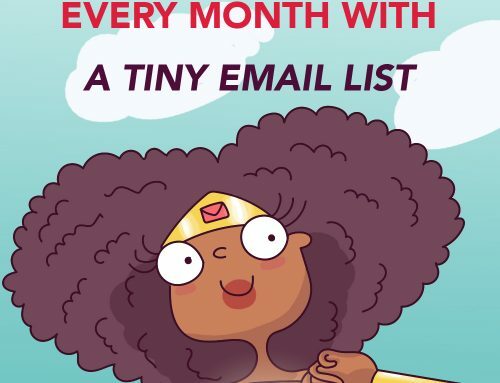 Little did I know that these comics would take off and I would find myself with a full-fledged Brand that now creates stationery and accessories all under the name of Stray Curls. 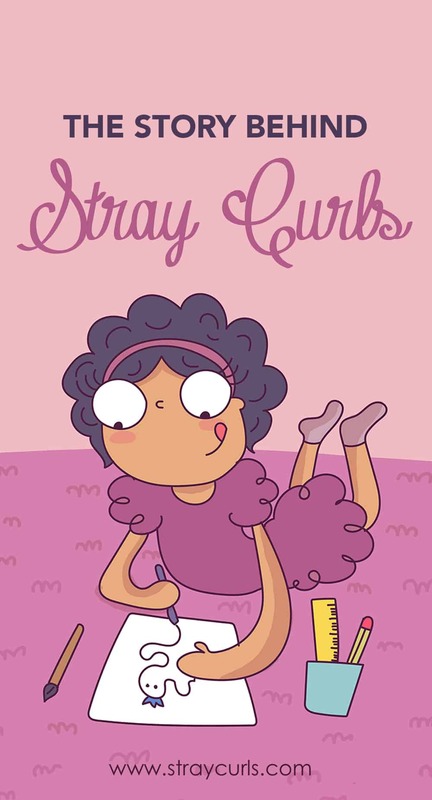 So, in case you’re wondering what’s the story behind Stray Curls or who exactly is this woman who’s creating these little comics… you’re going to find out. You’re also going to need a lot of patience to read it all. So, here’s to you! 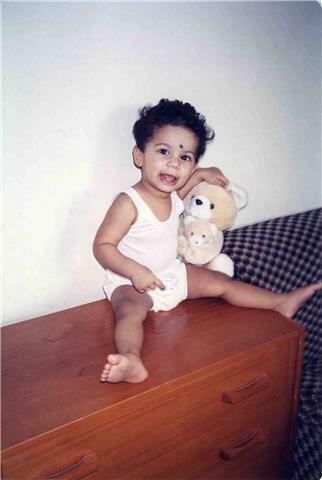 I was born on 17th August, 1992 in Abu Dhabi, UAE. I am Indian by origin. As a curly haired toddler, I loved drawing on every paper I could find. My father was a Stationery Manager so I had no trouble accessing color pencils, crayons and paper. I was an only child and a very hyper one indeed. I loved two things – toys and making messes. I was a very quiet child in school, though. I did not mingle much with other children (a not so desirable trait) and was quite satisfied drawing and doodling in my little notebooks, that my father gave me. Watching cartoons and reading were my whole world. I loved reading Enid Blyton books. This led to me talking to my stuffed animals. I’d have make-believe tea parties with them. I also developed a fascination for story books, coloring books, and Barbie Dolls. Growing up, I spent a lot of time listening to rock, metal and sometimes the blues. I had a special place in my heart for Country Music of the 60s and 70s and I would listen to songs on the way to school, church and grocery shopping. I was bullied for having curly hair. Nothing serious, just the regular teasing and finger pointing. It wasn’t just in school. Some of my relatives poked fun too. Between the ages of 13 – 17 (when I should have been making friends and dating), I delved into the world of video games. I played every PC game I could get my hands on – Need for Speed, Devil May Cry, Harry Potter, Sims, Tomb Raider – I loved them all. I was a computer geek. This was also the time my eyesight weakened and I needed to get myself a pair of glasses – really thick ones. My parents never had a problem with the amount of time I spent on the computer or watching TV because I brought home excellent grades. I always managed to finish my studying and homework in the bus so I could spend every waking minute either playing on the computer or drawing in my sketchbooks. When I finished my 12th grade, the time had come to make a very important decision. I had to choose what I wanted to do with my future. A very small part of me wanted to join Arts because drawing was my passion. But since everyone in my Batch was taking up either Engineering or Medicine, I decided to go with the flow and take up Engineering (not my finest decision). 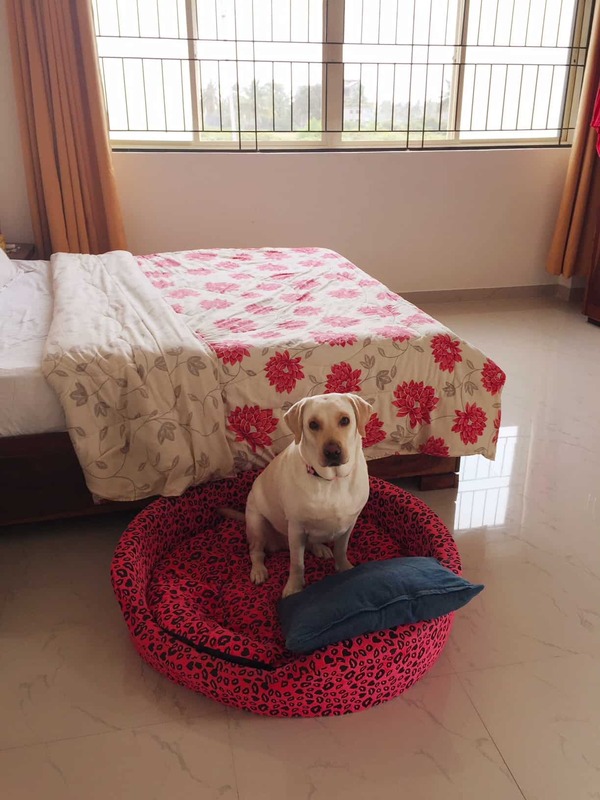 I moved to India and took up a room in a dorm. The next four years of my life became a turning point for me. I made friends. I actually ventured out and began to talk to people. I realized I quite enjoyed it. I never knew I was a talker – to be honest. Staying in a dorm made me realize that. Girls would gather in my room after curfew to listen to my stories. I told them ghost stories, stories about movies I watched with my mum and so much more. And that’s when I realized that I had a knack for story-telling. I made some of my best friends in this college. I was blessed to have a genius roommate who took me under her wing and taught me about life. The course itself proved to be challenging. I met lots of nice people and some not-so-nice people. I was bullied quite a lot in my first year for having curly hair, and being a 5’8″ girl in an Asian country, didn’t help much either. I stood out like a sore thumb. The bullying bothered me for a bit but eventually I got used to it. Every time I was sad, I drew a picture. 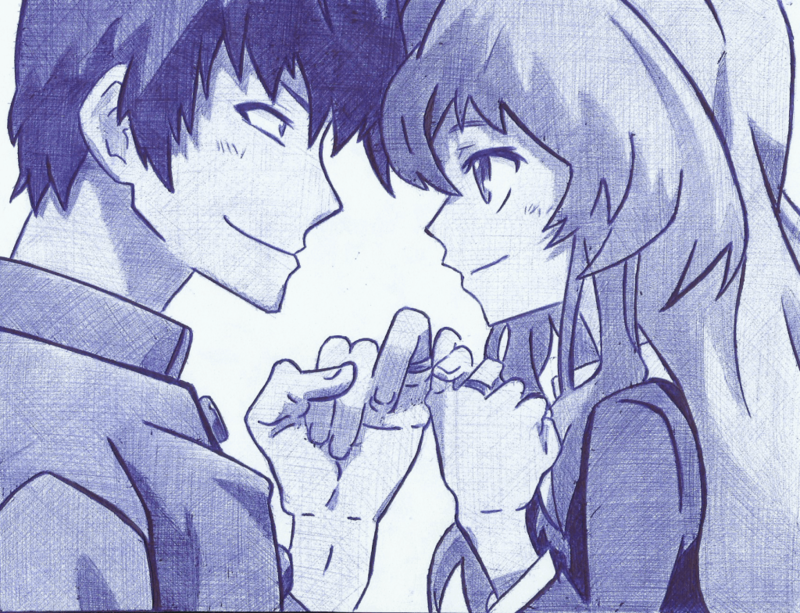 Every time I was overly happy, I drew a picture. Drawing was my consolation and at the same time my joy. The very act of drawing proved to be my biggest solace. I learned how to handle my finances, how to wash my own clothes manually by hand (we didn’t have washing machines because it was part of the curriculum to teach students how to be patient), how to catch a city bus (no I had never done this my whole life), how to cross the street (again, I had never stepped out of my apartment by myself so this was all quite new to me) and how to live in the real world. Life was hard but at the same time awfully exciting. I fell in love with India. I fell in love with the rain, the trees, and the adorable stray dogs. And in this very college, I also met the love of my life – Daniel. From day 1 we both knew that there was something quite odd about our friendship. It was electric, it was magical… and I’d be on fire every time he stood inches away from me. This was also the time, when I couldn’t really carry all my pencils to some classes so, I made due with pens. And I started using ball point pens to create art. Daniel and my friends provided the inspiration for me to draw. He too was an only child and being two years my senior, he knew more about this college than I did. We started dating 6 months after being best friends. And this was the best decision of my life. We got married 4 years later in 2015 and rented a little apartment in Bangalore. 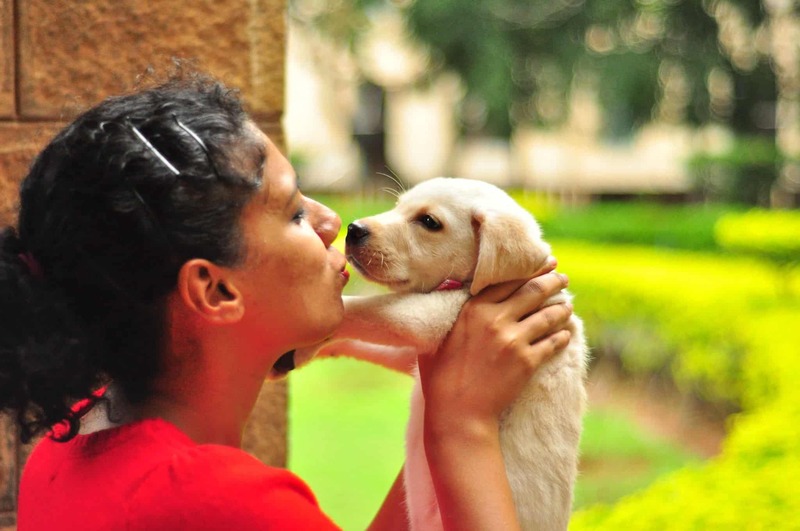 He bought me a puppy as a wedding gift because he knew how much I’ve wanted a dog and couldn’t have one since I was residing in a Muslim country previously, all my life. And it was the greatest present I’ve ever received till now. We decided to call her Maria and she is our whole world. It took me some time to adjust to Bangalore. I missed my parents dearly. I had imagined that after graduating, I’d be able to go home to Abu Dhabi and be with them. But I knew that I couldn’t uproot Daniel from India or leave my little munchkin of a pup behind. So, I made the decision to stay back in India. And we make trips back and forth because my parents are my biggest supporters along with Daniel. I knew then that taking up a job in Computer Science was not what I wanted to do. I wanted to stay at home and be with my husband and dog. As you can tell from this story, I’m quite a little home-bird who loves to stay indoors. This was a very big decision for me because I knew we needed to pay rent. But Daniel convinced me to stay at home. He makes websites for small companies that were starting up. So, I decided to learn his business and help him make websites together. But after a whole year of building standard websites for either men or small Indian companies, I started to grow restless. I wanted an outlet where I could draw or write – basically do something more creative and colorful. 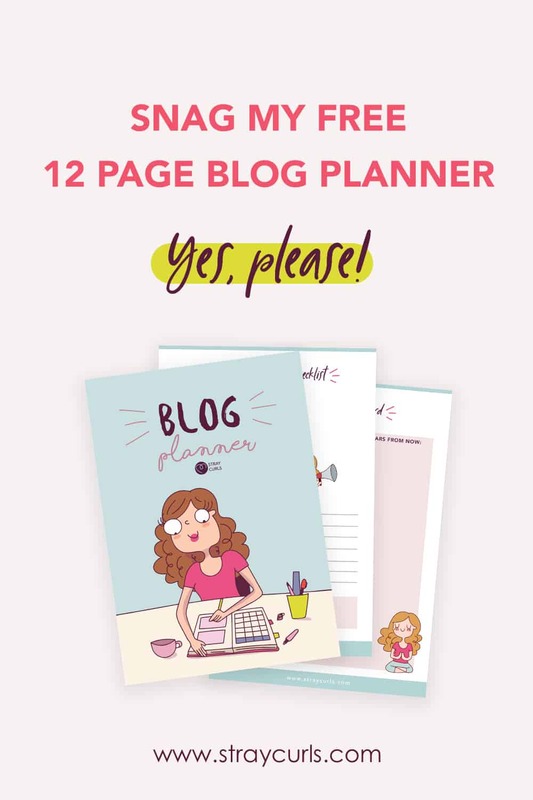 So, I started my Blog on the side (this blog no longer exists but you can read my NEW blog right here) – Mary Angela’s Blog where I published a post weekly. 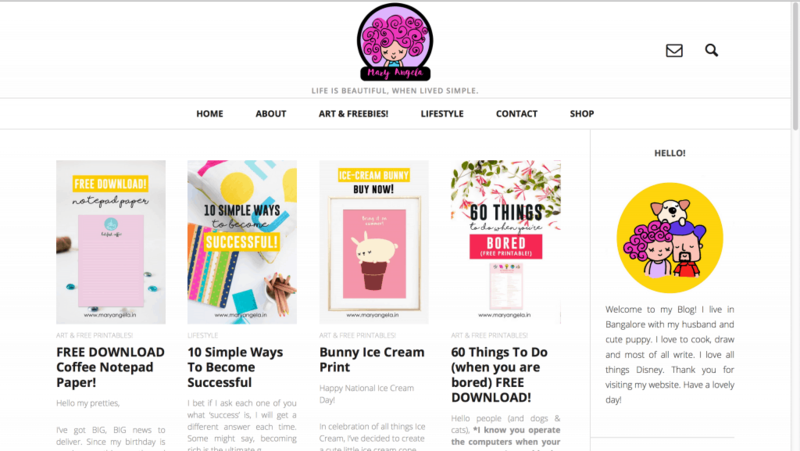 This blog attracted my first woman client from the US. This was awfully exciting because I got to create design elements that were feminine and more in my field of work. I’d create hand-drawn logos with my black ink pen and color them using Photoshop. At first, it was 1 – 2 clients a month. But slowly, word started to spread and I began getting more clients that wanted Illustrated Portraits, Business Cards and Websites. In June, 2016, I got my first physical commission. I realized it was getting serious and I needed to take this up seriously. So, my husband and I saved up for 3 whole months before investing in a digital tablet in November, 2016. I had zero experience and I was eager to learn. So, every day, I created an illustration. They were pretty amateurish in the beginning, but my work started improving with practice. 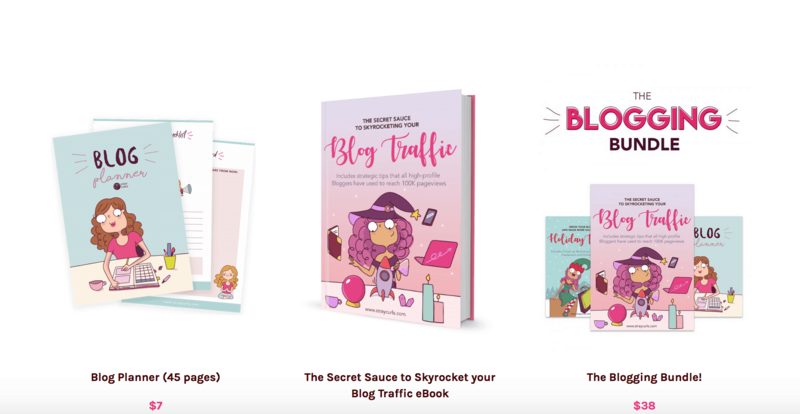 I was earning a living with my blog through ads and through commissions. It wasn’t great money, but it helped keep the pot boiling. We even got a bigger apartment with a home office (away from the city) so we could be more comfortable. Another venture – oh boy! 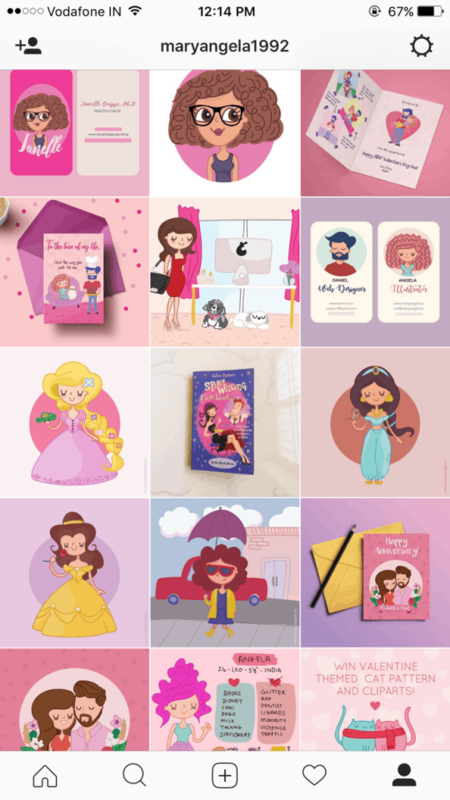 In May, I created an online course that teaches how to create illustrations because I was receiving questions every single day regarding my illustrating journey. You can get it here if you’re interested in learning how to illustrate like this. Again, I was too shy to market it, so I didn’t spend too much time trying to spread the word. A friend of mine (who is also a Blogging Buddy of mine and a Social Media Goddess – Jaimie) then suggested I start an Instagram account. An account where I upload all my illustrations. So I did. It was just for pass time, mind you. This was also a great way to monitor my progress and see how far I came. I started this account in December, 2016. I wasn’t posting regularly, just once every now and then. And just to spice things up, I created my very first comic on the 12th of February, 2017. At first, I didn’t know what I’d make my comic about. I was confused. I wanted my comic to be about an issue that was very much real but at the same time not so serious. And I thought to myself, why not make my comic about my biggest frustration – something I have to deal with on a daily basis – my curly hair. 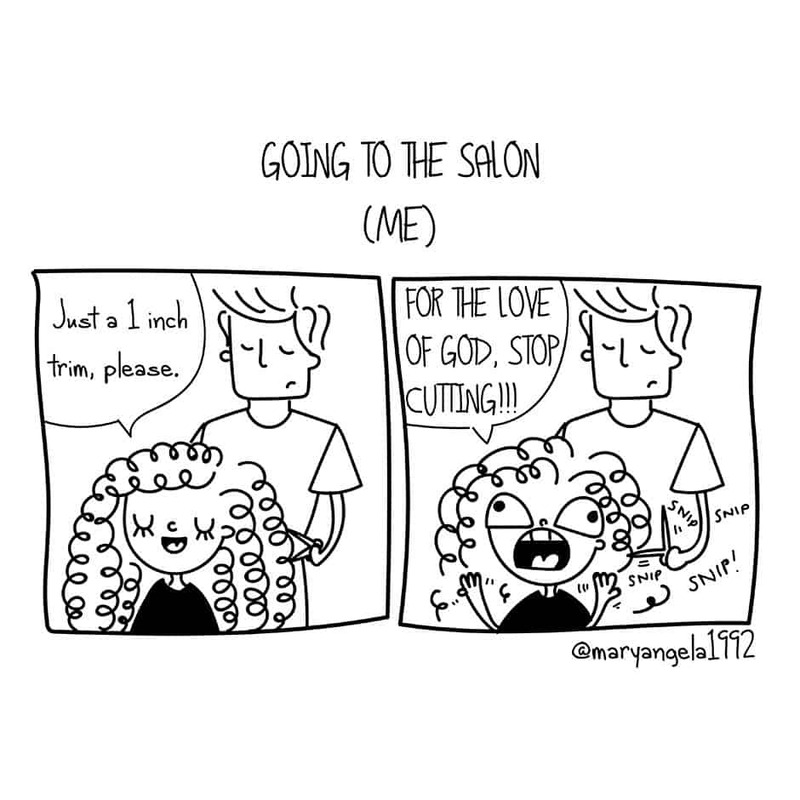 I had just had a horrible salon experience and decided to illustrate it with a funny black and white comic. This was intended to be a one time thing, but I created 2-3 more before moving back to illustrations. 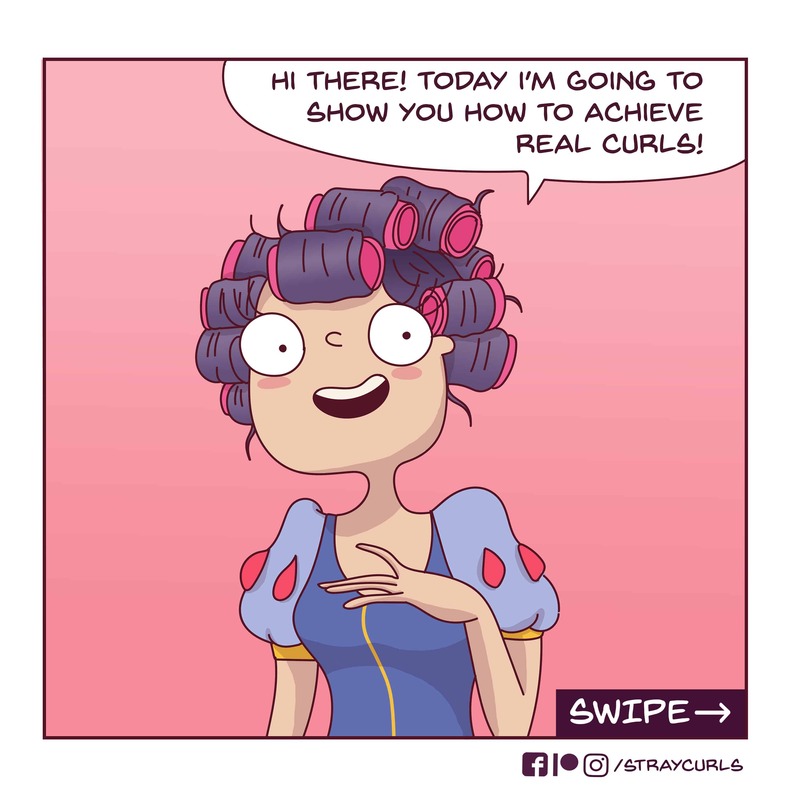 I didn’t think of it for quite some time until the end of May when I once again decided to create another Stray Curls comic. I was going through some old photos, and I realized that having curly hair was one of my biggest topsy-turvy adventures. With time, my skills developed and my comic style evolved. And that’s when I realized, this particular thing I was doing – making comics was helping me promote my services as an Illustrator. I realized that this was my staircase to marketing myself without having to actually do it. Stray Curls was my stairway to success. 2 months later, I started my very own Stray Curls Patreon account. I was nervous at first. I didn’t think anyone would want to support me because I was fairly new at this and I was just making comics on the side. But to my amazement, people actually started supporting Stray Curls. And that’s when I knew, that this was what I was meant to do my whole life. Draw. And make people laugh with my stories Stray Curls comics. Stray Curls has been featured in several websites like Scoop Whoop, Bored Panda, India Times and so many more. My comics have come a long way in the past 5 months and this includes my drawing style. And only last month, I opened my store, which you can visit here. 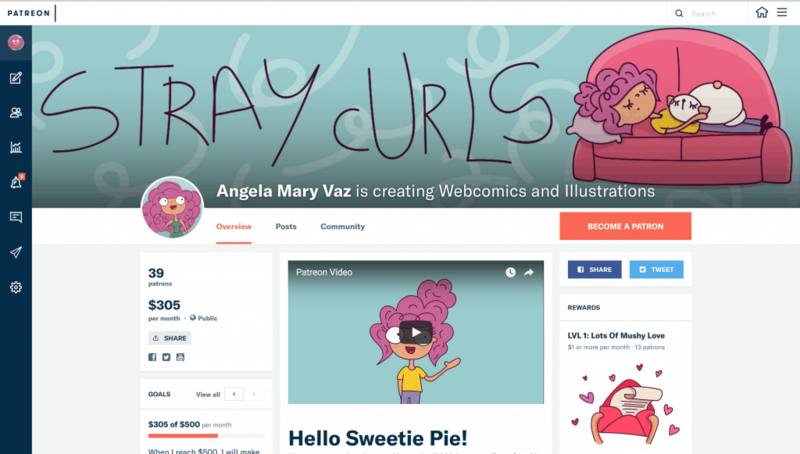 Thanks to my Stray Curls comics, I am now able to earn a living and support my family doing something I love and adore. This journey has been such a long and necessary one. This is my story. Now, you may think, why in the world is this woman sharing her story with us? What is the point in all this? Well, the main reason why I’ve shared this story about Stray Curls is because a lot of people ask me how I’m so lucky or how nice I have it because I’m getting to do my dream job. But it’s not so simple. Sometimes, to achieve the things you want, you need to spend a lifetime figuring out what exactly you’re good at and what exactly you want to do. These things don’t happen overnight. It takes a lot of work to push something off the ground. I’ve been drawing my whole life, I’ve painted, sketched with pencils and charcoal, used ball point pens and finally moved to illustrating and making comics. I never attended art school, I never took a course and I’ve never had lessons. I’ve wasted four years learning Engineering but it taught me to be patient, resilient and most importantly – it made me realize that I was born to do something else entirely. So, if you’re not where you want to be right now, don’t worry. Take it easy. Nothing (and I repeat – nothing) happens in one day. Things take time. No one becomes an artist in one night. It takes months, years, decades just to figure out what you’re meant to do. And after that, the journey begins with you taking the first step toward your dreams. As you’re nearing your goal, there are going to be a lot of obstacles. Obstacles so ugly and so huge that you’re going to have to summon all the strength you can muster to overcome them. Don’t let these hardships deter you. Don’t let it stop you from doing what you have to do. You have to fight for your dreams. And if you want to know who your real friends and supporters are, just be who you are. Those who support you even if you’re dirt poor and/or extremely unpopular are the ones that truly love you. Keep your family and friends close. They will never leave your side. I am not perfect. I’ve made innumerable mistakes. But I don’t regret any of them, because each mistake taught me a valuable lesson and helped me grow. All my life, I’ve been bullied for having curly hair. It was only natural for me to hate my curls. But the day I embraced my curls, and learned to make peace with my hair, life rolled out differently. My curly hair has been my biggest inspiration for Stray Curls. Keep doing the good work and keep entertaining the world with your amazing comics. 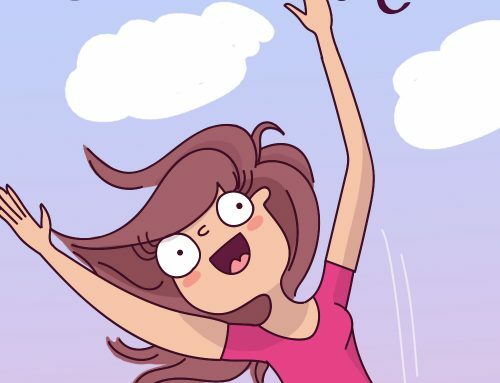 To be very honest, I eagerly wait for you comics. They have been a major reason to lift up my mood whenever I’m sad. Thank you so much. <3 That means a lot to me. I know how it feels to be down in the dumps. And I look forward to making you laugh. I’m reading you from Argentina and I love your work…I feel so identified with your comics that I can’t believe that I’m not the only one. Knowing that someone could made their dreams real makes me so happy, so I’m so happy for you Angela. Keep dreaming and doing your excellent work that I’ll never stop following. Have a life full of success! Argentina – I’ve always wanted to go there after the famous Madonna song. Thank you so much for your kind words. I’m so thrilled to have started this journey, and no – I don’t intend on stopping. Never, ever. 😀 I love making comics. Have a lovely day, Maria. Wowwwww. That’s awesome. Your journey. And you’re one of reasons why I decided to embrace my curly hair again. After killing them for two years with permanent straightening and what not. Thank you so much. I’m so glad you decided to embrace your curls too. It was such a difficult decision for me. But I love my curls now. I did the same love. Straightening, coloring, sigh… The damage is reversible with a lot of hardwork though. If you have any questions regarding curly hair, I’m here to help! This is such a wonderfully inspiring story! It’s made me feel better about not having discovered what I’m meant to do yet, and also about my annoyingly curly hair. As an Indian school kid, I’ve also felt insecure about my hair, especially when I visit parlours and they immediately proceed to pull out a hair straightener (I literally have to beg them to stop!) I find solace and motivation in your comics. Keep going! We love you. Thank you so much. Yes, this was the very intention of this blog post. To strike inspiration in the hearts of many. Meh, don’t worry if you don’t know what to do yet. That magical moment can happen anytime. It can happen when you’re 3, or it can happen when you’re 24, or even 47. Take it one day at a time. About your hair, I know exactly how you feel. I was awfully insecure about mine. You’re right, Indians don’t really cherish curly hair. It’s still a mystery to so many people. I have to plead with hairdressers to not blowdry my hair. And thank you. 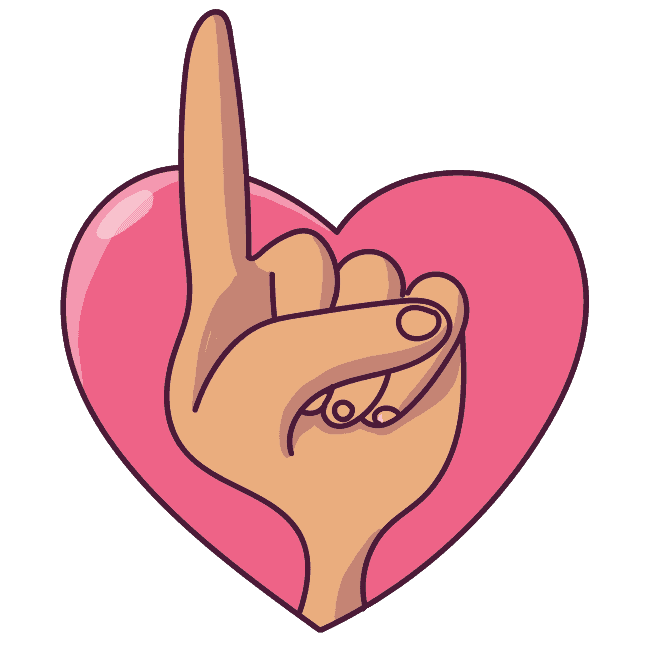 <3 For all your kind words. I won't ever stop. Your story is so inspiring. Congratulations..and hope your stary curls journey just gets amazing in the years to come. Thank you so much sweetie. You’re really sweet. Hope you have a wonderful day! That’s such a sweet name, you have. Kiss Sparkle for me. Isn’t Bangalore terribly cold? But I bet it’s nothing you can’t handle since you’re from the UK. Thankyou so much for sharing your journey here. I am glad that you are finally doing what you love the most. Maria is way too cute 😘😘 . I wish you all the best . Love. It was my pleasure. I am so happy to be pursuing something I love. Wishing you all the best with your doodles. They’re so cute! And Maria gives you a nice, big wet kiss. You are simply amazing!!! You are an epitome of courage and resilience! I’ve always loved your comics and now I love your story 🙂 I can only imagine the struggle you must have been through. I know this because Bangalore, in a way, has been kind to me too when I moved there to study. But your story and hardword are inspiring! 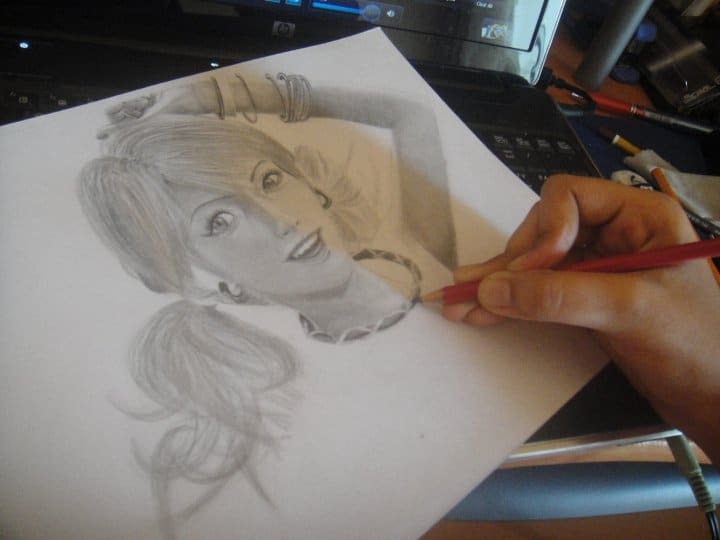 Keep drawing… we love u! Thank you so much. You are too kind. Yes, life is always hard. And I’ve thought of giving up so many times, but something or the other has always brought me back. I cannot stop drawing. Not now. Not ever. This was so beautiful… It put a smile on my face but it also brought tears in my eyes. Your story is so inspirational and even I got motivated that nothing happens overnight (as I’m about to enter 12th grade even I’m confused between arts and finance) I have always fangirled you! Thank you so much. <3 12th Grade is so hard. Not in terms of studies, but in terms of decisions and people. But just remember this, everything is reversible. You can choose any path and still go toward your dream destination. Glad to be a part of your life. This inspired me so much. Although I’m still thirteen I’ve been through so much. Sometimes I just feel like giving up which you taught me is not an option. Thank you for inspiring me ! Me and my sister ,both are curly heads and love your posts. She’s now married and lives in Germany with her husband. I miss her badly but, we still share your comics to each other and have a good laugh at them. Aww, two curly heads? Your mum must have had a hell lotta fun, oiling your heads and combing your hair. Lol. I totally know what the mocking feels like. Been there, done that. And that’s why I try to focus on curly hair so much. I want people to know that curly hair is cool! And in fact, very, very special. Love your curls. Enid Blyton was a HUGE part of my childhood too. I still read her books from time to time for the nostalgia! Thank you so much. Here’s a big fat hug from me to you. You can be anything you want to be. You just have to want it hard enough! <3 Best wishes. I just want to give you a very tight hug. Keep doing what you do and keep making yourself happy through your art! P.S You should make more comics of you and your husband! Maybe about your daily lives or something! Thank you so much. *a big, warm huggle for Maria* Ugh – I too hated my hair for such a long time, so I know the feeling. I know curly hair is hard to embrace, but once you have the right products and know how to take care of it, everything just magically falls into place. Give it time, study your hair. I love YouTube because I love to watch tutorials on how to take care of curly hair. 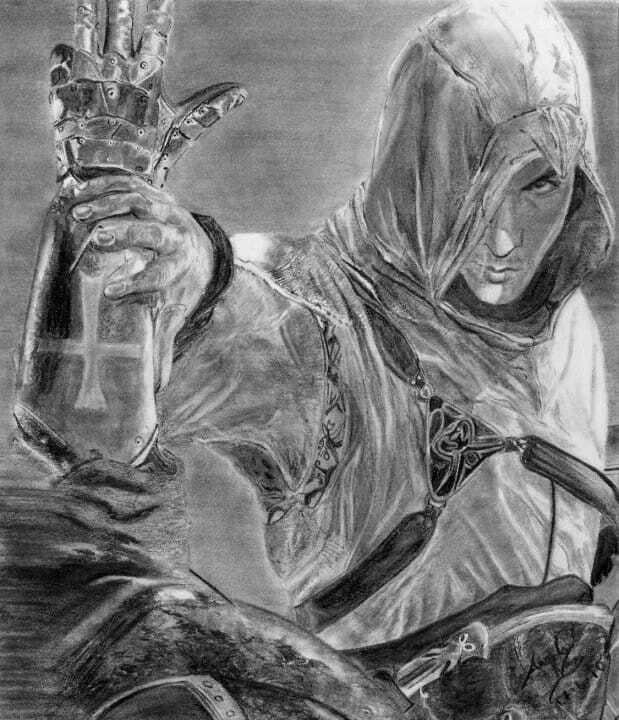 You are an amazing artist and from what I have seen and read, an amazing person too. It is pretty difficult as an artist to survive, especially in India and u make me so happy and proud to know that u r following your dream. Never give up. 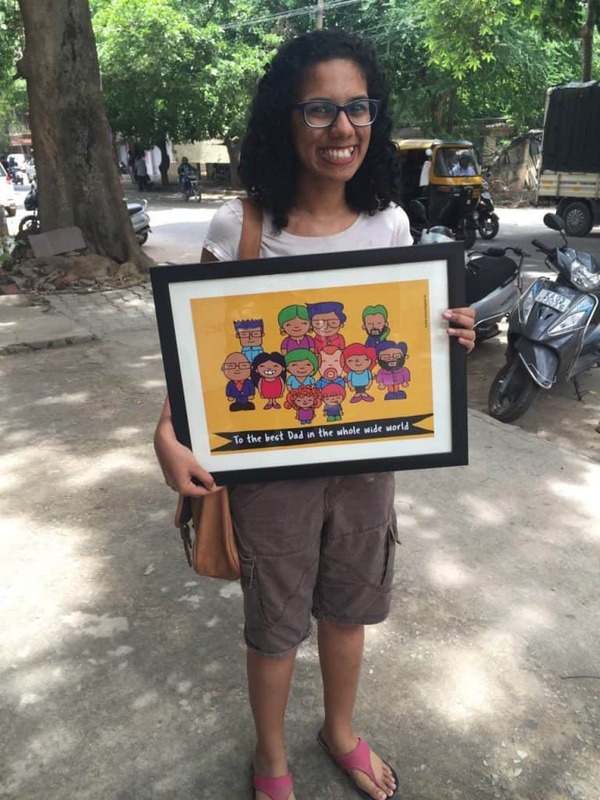 You are awesome and keep sketching those smiles on our faces! Yes, it is my story. I always thought that I had shared it enough but for some reason I thought of properly sitting down and writing it again. I totally support you. It doesn’t matter what you decide. But incorporate art into your daily life. Try to reason with your parents. You can make a living doing anything you want. <3 And thank you love. You are too sweet. That’s so cool! I still miss Abu Dhabi from time to time. And curly hair is simply awesome. Very time-consuming to take care of though, but totally worth it. Yes, it’s very much possible to achieve anything your heart desires as long as you want it hard enough! This so inspirational! I’m so happy for where you’ve reached in life. And I’m actually an Indian who was born and raised in Abu Dhabi (only difference is I’m still here) and your story has motivated me to do more with my life. Thank you so much. I’m incredibly blessed to be in this place and be surrounded with the most loving people ever. You can do anything your heart desires. <3 Just go for it! 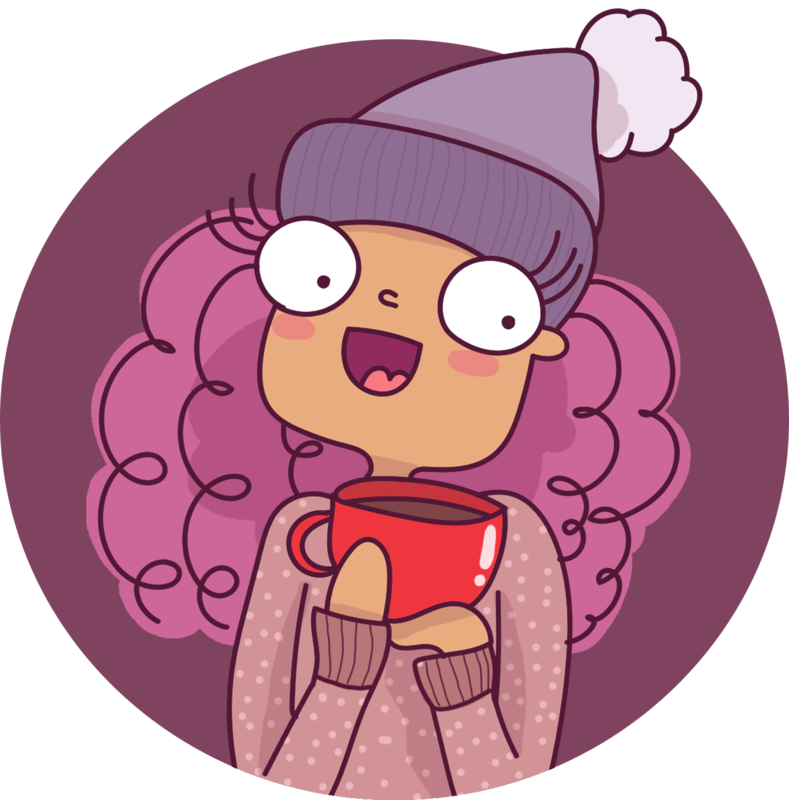 Reading this from Lisbon, Portugal… Your comics are so relatable, I love them! Never found an accurate representation of what it’s like to live with curly hair and you just do it right. I’m happy you can make a living out of what you love 🙂 thank you for sharing your story and for being so honest all the time!! First off, I love your name. <3 And thank you so much. Curly hair is just wonderful to have, but also time consuming to take care of. I'm incredibly blessed to be able to do something I love for a living. I know how difficult it is to be an artist, and I know many people do, engineering might not bring great engineers in India, but they definitely do bring ones true self out, most people have had their break through after and through their engineering life’s. Hi reading this from Austin Texas! It’s amazing to see how much you have progressed! I am a huge fan of your comics and I had no idea you were that good at drawing seeing a perfect face drawn in paper is amazing. Oh my God! You’re such an amazing person Angela❤️ I’m so happy I’ve had the chance to find your Instagram page. Your comics are the reason why I’m smilling and I wish you’ll never stop from doing what you like. I’m just a 14 years old girl from Romania, a country you’ve probably never heard about before, but all the pieces of advice you gave in this article will surely help me. Thank you hon, you’re too kind, really. I’m so happy and it gives me immense joy to make comics that are appreciated from around the world. I’m just immensely lucky to have reached so far, and it’s all thanks to you guys. And of course I’ve heard of Romania! It’s so famous! I hope my passage was able to inspire you. Follow your dreams sweetheart! Beautifully written!! inspiring one. This time it was not possible for me to join straycurls for my internship program 😔 but i hope and i wish in future, will meet soon. You are such a wonderful person.Stay healthy and happy. Thank you sweetie. You’re too kind. oo0o0o and I love being called “kickass”! Ha ha. That’s just amazing! I’ll give Maria a big hug for you. Wow, what an inspiration…its like you read my mind….finding your passion is by far the hardest thing one can endure…..its great to find souls like you who have kept the spark burning bright…….keep your passion alive and hope you enkindle the fire among us ‘boring’ souls…. 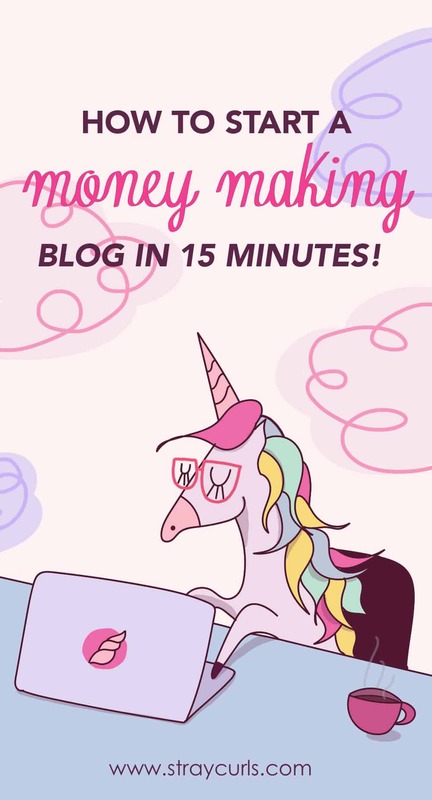 Omg I’m so glad you started a blog! 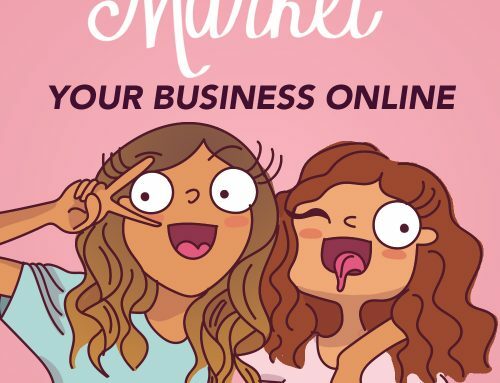 I love your comics and illustrations and am always very excited when they pop up on my Instagram feed. I loved reading your story! You’re such an inspiration, keep it up! Thank you so much! I can’t wait to write more! 😀 You’re a doll. Ur story is really inspirational. Wish u all the success . Thank you so much, you’re very sweet. 🙂 Yep! I realized a long time ago, that it’s best to make use of what you have. I’m terrified and terrifyingly confused (excuse the very bad pun 😉 ) But you are the light at the end of the tunnel… You and my wet-nosed baby Alfie! Helping me keep it real! Kisses to Maria and Chloe… they really are the best support system one can ask for! So good to see you on here. 🙂 A certified psychologist? That’s awesome! I’ve dreamed of becoming one when I was little because I loved talking to people so much! I always wanted a job where I could express myself. That’s why I love drawing and writing so much. (big wet kisses from Maria and Chloe to you!) They are indeed such lovable companions. I couldn’t ask for anything more. It’s so true, looking at your comics and website it seems that you got it so easy, it just flows perfectly. But this story helped me to realize the truth, you put and are putting a lot of work in all this and i hope that you’ll be come even more succesful! Thank you so much. Yes! 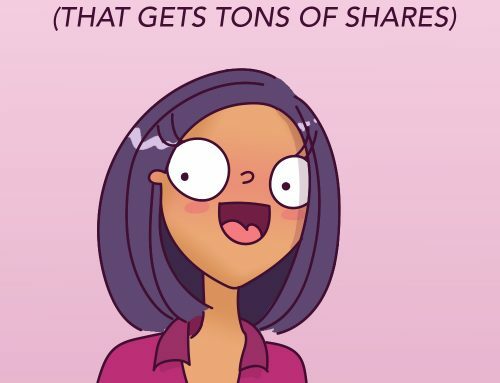 Rising on Instagram with comics is super easy! 🙂 And thank you. I really hope one day the blog takes off! 😀 I plan on writing books too! You are most welcome Kieya! I loved reading your success story and now you are able to earn money doing what you love!